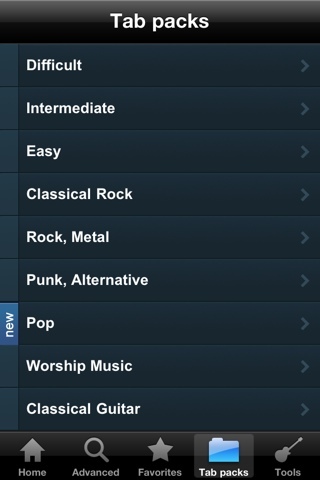 For those about to rock.... we recommend this app. 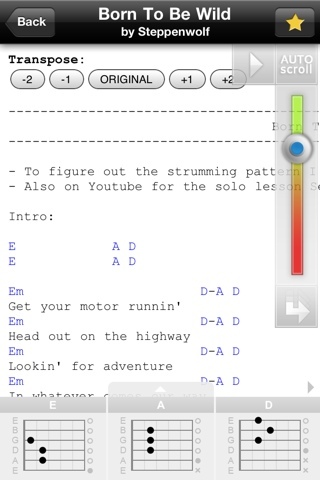 Ultimate Guitar Tabs is the, um, ultimate app for guitar chords and tabs. If you play guitar you're probably familiar with the Ultimate Guitar website for finding song chords, tabs, and lyrics. 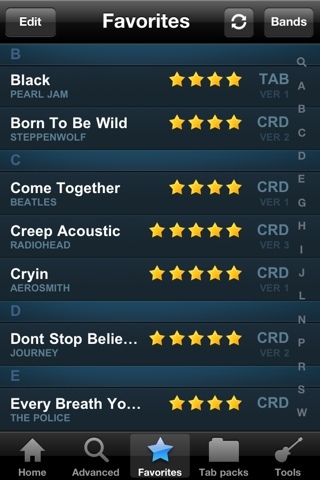 Using the app you can get all those right at your finger tips while jamming. This comes in very useful when you are with some friends and want to jam but can't think of good songs to play. Just fire up the Ultimate Guitar Tabs app and either go to your favorite songs, search for any song or artist, or even try out a tab pack. Those will surely find you some cool tunes that you can rock out to. If you play guitar, or even want to learn how to play guitar, this app is probably the most obvious way to learn how to play new songs.